NEW DAMS can create almost 15,000 regional jobs and $4.85 billion in production in northern Queensland, the Northern Territory and Western Australia, based on the work of Austalia’s science agency, CSIRO. ​The Northern Australia Water Resource Assessment, completed by the CSIRO, found 7250 jobs could be created in the Mitchell catchment in Queensland, 2845 jobs in the Darwin catchment in the NT, and 4700 jobs in the Fitzroy catchment in WA. Minister for Agriculture and Water Resources, David Littleproud said he was keen to see this type of infrastructure development create the opportunity for indigenous jobs in agriculture. ​“This is really exciting news for agriculture and potentially for our indigenous communities in these areas,” Mr Littleproud said. The CSIRO report confirmed that in the Mitchell region, about 7250 jobs could be created and $1.5 billion a year could be added to the region through four dams releasing 2800 gigalitres a year in 85 percent of years. This could support 140,000 hectares of year-round irrigation, growing two crops a year. In the Fitzroy catchment, it would be possible to create 4700 jobs through $750 million of farm production created by pumping 1700gl from the Fitzroy and Margaret Rivers to grow 1600,000 ha of once-a-year crop – CSIRO names cotton as an option – although the reality was likely to be less than that given cultural, environmental and legislative factors. In the Darwin catchment, CSIRO reported about 2500 jobs and $2.3 billion for the region could be created through two potential instream surface water storages at Mount Bennett on the Finniss River (343gl capacity) and the upper Adelaide River (298gl). These dams could release 436gl at the dam wall in 85 percent of years, growing 40,000ha of mangoes or 60,000ha of trickle-irrigation vegetables. Another 345 jobs and $320 million could come from using 35gl of groundwater to grow an extra 7800 ha of trickle irrigation vegetable production. “Dams and other water projects can bring thousands of jobs to areas where employment is hard to find. Dams grow food, jobs, exports and wealth,” Mr Littleproud said. “Projects like these can add $4.85 billion to Australia’s farm production and help get us to the NFF’s (National Farmers Federation) ambitious goal of $100 billion of gross farm production by 2030,” he said. “In the modern age, we can do this in an environmentally and socially responsible way. “In my home state of Queensland, some 7250 jobs could be created in the Mitchell catchment. It would transform the region. The Pinnacles dam site on the Mitchell and the Rookwood dam site on the Walsh could provide 65 percent of the water CSIRO says could be harvested from the Mitchell catchment. “The Pinnacles site alone could grow 70,000 ha of spray-irrigated sugarcane and mungbeans. “Adding 2500 jobs would be huge for the Darwin region. Darwin is ideally placed to export fresh produce to Asia and with dams, could take full advantage of this,” Mr Littleproud said. “Adding 4700 jobs to the Fitzroy catchment in northern WA would kick-start wealth and jobs. With vision we can do something great here. MELBOURNE’s Night Time Economy continues to grow, with food sales in Australia’s cultural capital increasing by 12 percent in 2016-17 while drink sales were down six percent. City of Melbourne Lord Mayor Sally Capp revealed the latest figures from Local Government Safe Communities’ Network research recently, tallied from Measuring the Australian Night Time Economy Report 2016-17. “Melbourne doesn’t shut up shop when the sun goes down. The value of our Night Time Economy has increased by $197 million in turnover to $3.2 billion,” Cr Capp said. “Over the last 30 years we’ve transformed Melbourne into a dynamic 24-hour city. 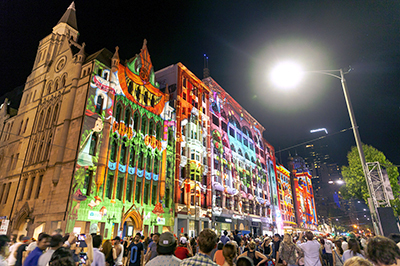 We brought residents back into a city and our partnerships with the State Government on major events such as White Night have put Melbourne on the map as a truly global city. The data mirrors the recent findings of the Australian Bureau of Statistics, which showed that Australians were drinking less alcohol than at any time in past 50 years. The report shows Melbourne’s total Night Time Economy grew by seven percent from 2016-2017, with jobs growth of 7.4 percent to more than 30,000 employees. Food establishments accounted for 71 percent of employment and 65 percent of turnover. Chair of the City of Melbourne’s Small Business, Retail and Hospitality portfolio, Cr Susan Riley said the council had been working hard to activate the city at night. “We’re continuing to work with Victoria Police and licensees to ensure people feel safe in the city throughout the evening and into the night,” Cr Riley said. 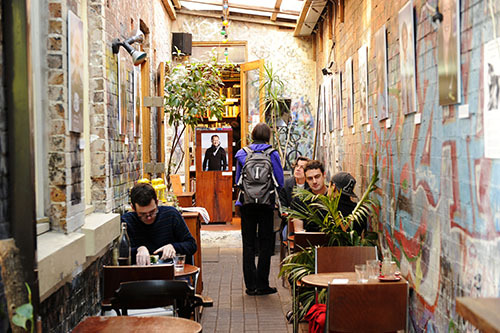 There are 2,360 cafes or restaurants in the City of Melbourne, with almost 200,000 seats. EXTRA >>Read the full report here. 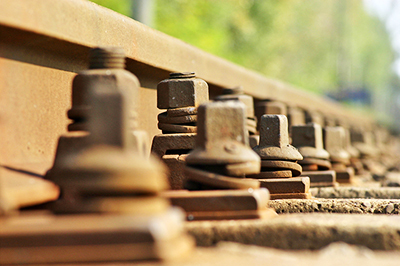 THE Australian and New South Wales Governments have given the green light for construction of the Parkes to Narromine section of Inland Rail. Deputy Prime Minister, Nationals’ Leader and Minister for Infrastructure, Transport and Regional Development, Michael McCormack said Inland Rail would bring jobs and opportunities, improve connectivity and increase freight productivity for businesses and consumers in regional Australia. Minister for Finance and the Public Service Mathias Cormann said Inland Rail would be a corridor of commerce for communities along the Eastern Seaboard. Minister for the Environment Melissa Price said final approval for the works under the Environment Protection and Biodiversity Conservation Act was provided by the Department of the Environment and Energy this week. “The Australian Rail Track Corporation (ARTC) can start its upgrade to the 106km of track between these two important regional service centres. This will bring jobs and economic opportunity to the region,” Ms Price said. NSW Minister for Planning and Housing, Anthony Roberts said approval for the works under the NSW Environmental Planning and Assessment Act was provided by the New South Wales Department of Planning and Environment previously. “Inland Rail was what made me get off the tractor and put my hand up for Parliament—this is going to be a transformational investment in communities throughout Western NSW,” Mr Coulton said. More information about the Inland Rail project is available at infrastructure.gov.au/rail/inland/ and epbcnotices.environment.gov.au/publicnoticesreferrals/. SLINGSHOT has conducted the second annual Icon business bootcamp and accelerator program for NSW regional small business owners and startups. The program has been designed to support small business and entrepreneurs in the Hunter region and beyond. A collaboration between Slingshot, the University of Newcastle and the NSW Department of Industry, Innovation and Science, Icon aims to supercharge the next generation of regional startups to drive innovation in the local economy. Two programs were on offer: a free three-day business bootcamp for any business owner, founder or sole trader wanting to understand business models, growth, marketing, intellectual property, raising capital and pitching. This was open to all businesses, including NFPs, social enterprises or even just someone with an idea. The second program was a 10-week accelerator where startups can apply and pitch their idea to secure a position in the program for investment. This year successful applicants received an increase in seed investment of $25,000, tailored training and world class mentoring throughout the program. Slingshot co-founder Trent Bagnall said the Icon program played an important role in driving innovation and commercial outcomes in the Hunter region. “Startups and small businesses are the lifeblood of regional Australia,” Mr Bagnall said. Last year, several founders who went through the business bootcamp also applied for the accelerator program and secured a place which allowed them to further develop their ideas and tackle problems. 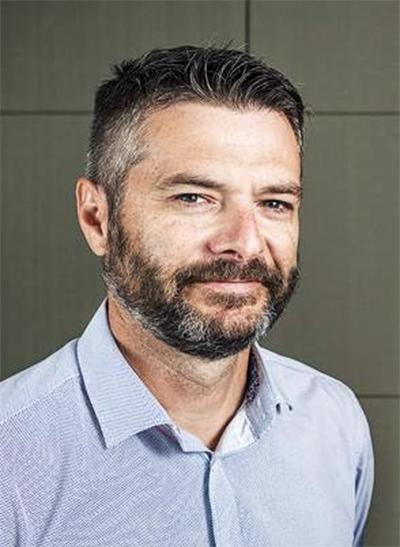 Icon accelerator alumni Josh Leask, the founder of Finactly, achieved great momentum since the program and recently secured a contract as well as going live with a large Australian bank. University of Newcastle senior deputy vice-chancellor for research and innovation, Professor Kevin Hall said the University of Newcastle was delighted to be working with Slingshot again through their Integrated Innovation Network. “We are looking forward to hosting the business bootcamp and accelerator on campus to enable more opportunities for our talented staff and students to create new enterprises,” Prof. Hall said. Last year, Slingshot and University of Newcastle were awarded funding under the Australian Government’s $23 million Incubator Support initiative to establish the Integrated Innovation Network (I2N) Regional Accelerator of which Icon is a part. I2N is expected to create at least 45 jobs in the short term, with more to come as startups find success domestically and internationally. It will also deliver around $2.0m in investment back into the Hunter economy over two years. The Icon Accelerator for 2018 concluded on December 19 in Newcastle with a Demo Day showcasing the cohort’s businesses which last year was also supported by Hunter icons including Kurt Fearnley and Carol Duncan who pitched their big ideas. The program is expected to run again this year. THE Queensland Resources Council (QRC) has called on the Australian Labor Party (ALP) to commit to establishing its newly announced $23 million Australian Future Mines Centre in Queensland, if elected. 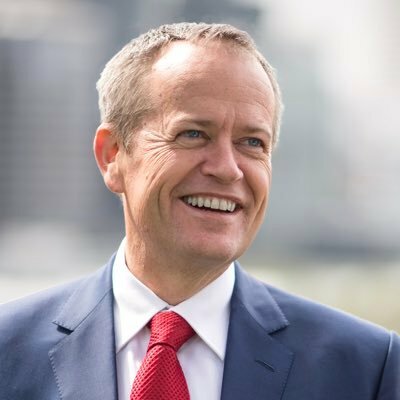 Opposition Leader Bill Shorten announced the planned centre during the recent Minerals Week in Canberra. QRC chief executive Ian Macfarlane welcomed the announcement and called on the ALP to commit, if elected, to basing the centre in Queensland, "given the state’s resources diversity and prospectivity". “Queensland is a resources superpower for Australia. Our sector employs 316,000 people in towns and cities and adds $62.9 billion to the state’s economy,” Mr Macfarlane said. “It makes sense to establish a hub for resources technology, skills development and research here. “We have well developed coal, LNG, bauxite and zinc industries. The untapped reserves of our powerhouse commodity, coal, were recently revised up to 63 billion tonnes," he said. “But we also have prospectivity in a range of commodities, including critical minerals that will also build our future. “And we have one of the world’s most significant exploration areas in the North West Minerals Province. “The Labor Party’s proposal for an Australian Future Mines Centre could assist in increasing exploration in new resources and new reserves," Mr Macfarlane said. “However, any investment in exploration must go hand in hand with a commitment to transparent and consistent regulation, streamlined with the EPBC Act where appropriate. “There is little point in investing in exploration if new projects then stall through excessive red tape, lawfare, or inconsistent regulations," Mr Macfarlane said. In previous statments, the QRC has called out both Federal and Queensland Governments on stalling projects such as the Adani Carchichael Coal Mine in Queensland's Galilee Basin, for stifling economic investment and putting jobs on hold in the region. “QRC also welcomes Mr Shorten’s $2 million commitment to encourage young Australians to study mining engineering," Mr Macfarlane said. Can crypto make Keppel Island ‘Great’ again? THE re-development of Great Keppel Island resort, on the southernmost edge of the World Heritage-listed Great Barrier Reef, has taken an unexpected turn towards technology for funding. After missing out on a Queensland casino licence which would have funded the re-establishment of the resort, owners Tower Holdings are now looking to proposals by blockchain technology and crypto-currency developers. Tower Holdings has always promoted that Great Keppel Island resort would display world-leading environmental and sustainability practices and technologies. Project co-founder Tim Sommers said through the establishment of a new security token offering, to be known as Great Keppel Island Tokens (GKI Tokens), investors would be buying a piece of the resort zone development. He expected the process to be a game changer for the island’s development, raising several billion dollars through the process he called Crypto Currency Tokenisation. The difference between investing in a new cryptocurrency and the GKI Tokens is that they are regarded as being underpinned by real property. “Great Keppel Island Token holders will receive significant benefits from the Island itself in addition to the asset backing unlike most other crypto currencies which have no asset backing at all and their value is based purely on sentiment,” Mr Sommers said. “The GKI Token holders will have the very real asset backing of the actual island, which is predicted to be valued at over $3 billion when fully developed within five years. Building starts in 2019. A major marketing edge of the process is in the publicity the blockchain-underpinned system is expected to generate. “Great Keppel Island will be the first blockchain, crypto and Internet of Things enabled island in the world allowing high security, crypto payments and accountability for services,” Mr Sommers said. Owner Tower Holdings CEO Anthony Aiossa said Great Keppel would be the first island in the world to be crypto tokenised. This would finally support the ambitious, yet sustainable, plans for the resort to be realised. “This is the largest ever development approval obtained on the Great Barrier Reef and it’s set to establish a new benchmark within the Australian tourism industry, especially with its major focus on environmentally sustainable tourism initiatives,” Mr Aiossa said. 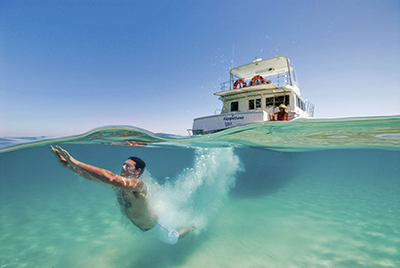 “The Great Keppel Island project will create an iconic tourism destination for both domestic and international guests who wish to experience the Great Barrier Reef in all of its glory. “In recent years the product offering of many tourism destinations within Australia and the Great Barrier Reef has not kept pace with the significant new tourism development in other beach holiday locations such as Bali, Fiji, Thailand and Hawaii which has seen a major outflow of Australian tourists to these locations. Mr Aiossa said the Queensland Government had approved all the development proposals including 750 luxury villas, 300 luxury apartments, 250 marina berths, 9,000sqm of retail shops and restaurants, an 18-hole Greg Norman designed golf course and a 1.5km commercial airstrip capable of international and domestic flights. In addition, he said, the Queensland Government was investing $25 million to connect power and water from the mainland. A website address has been established for information on GKI Tokens – www.gkitoken.com – but is currently not functioning. It is believed the crypto-funding side of the proposal is awaiting Federal Government approvals. SYDNEY has had an unprecedented decade of growth in its food and beverage (F&B) industries and that has positively transformed both the city’s hospitality economy and tourism appeal. According to a City of Sydney report, from 2007-2017, the number of hospitality businesses in Sydney has jumped by around 45 percent, cementing the city’s status as one of the world’s great food and beverage destinations. City of Sydney’s latest floor space and employment survey, which details the employment and floor space of every business in the City of Sydney area, showed the sector to be thriving in every respect. “The results show that the City of Sydney is the epicentre of jobs and growth in Australia,” Sydney Lord Mayor Clover Moore said. “By creating a city where people come first, we've seen that jobs and new businesses also follow. “To attract high-value businesses with good paying jobs, you need to attract employees. The strength of local communities is a key attraction for people choosing where to live, work or visit. “High quality developments close to jobs, shops and transport, efficient transport and safe and attractive ways for people to move around, childcare, stunning community facilities, beautiful parks and open spaces, quirky laneways, small bars, main streets with thriving small businesses – these are all things we've actively pursued over the last 14 years. “It's also important that the city is a welcoming, multicultural community where people feel included. “Our recent results show that our hospitality industry is thriving. The number of food and drink businesses in our city has increased by 972 in the decade from 2007 to 2017. “The number of workers and cafés also increased in the last decade, alongside restaurant seating capacity which rose by a phenomenal 50 percent, from 55,239 in 2007 to 83,045 in 2017. The survey results also reveal an increase of two-thirds in the number of restaurants from 727 in 2007 to 1,217 in 2017. There has also been a significant rise of around one third of food and drink workers over the 10-year period from 2007 to 2017, despite a slight decline in the number of food and drink workers since 2012. In Sydney today, however, the average restaurant now employs nine workers compared with 12 in 2012 and 2007, and that corresponds with a 38 percent rise in the number of cafes from 761 in 2007 to 1049 in 2017. City of Sydney’s manager of urban analytics Steve Hillier said the data suggested a greater appetite for eating out, with greater choice, number and variety of eateries. “Restaurants and cafes are growing at a faster pace than our population and worker growth, which suggests a greater demand for eating out,” Mr Hillier said. Chinatown and CBD South recorded the strongest food and drink business growth over the decade, with 198 additional (42 percent increase), followed by the CBD and Harbour growing by 171 businesses (19.5 percent increase) and Green Square and City South with 149 additional businesses (104 percent increase).